Want red wine you can chew on, for a very fair price? Then Bill Calabria is your man. 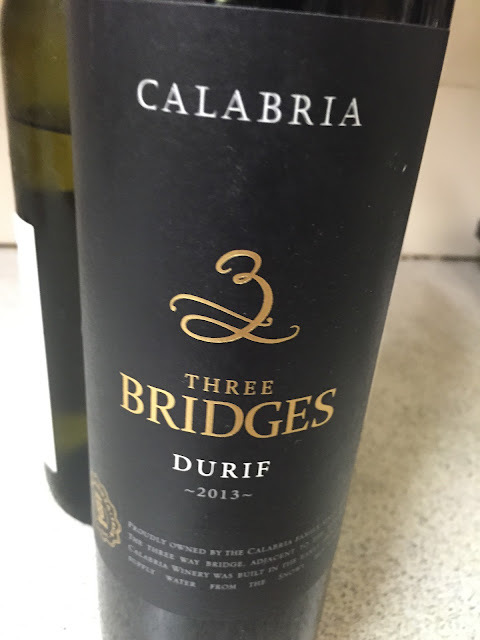 Bill’s ‘Calabria Wines’ (nee Westend) are constant overachievers in the weight-per-dollar equation, with this typically blockbusting Durif Exhibit A. Nice bloke too, is Bill. Hard-working. Shakes everyone’s hands in a room. Always excited. Seems much younger than his age, even though he’s had as many wins and losses (I talk more about Bill and his Durif here). Would I buy it? I don’t think I could drink more than a glass. At least not yet. It’s just so… enveloping. But it has a place.